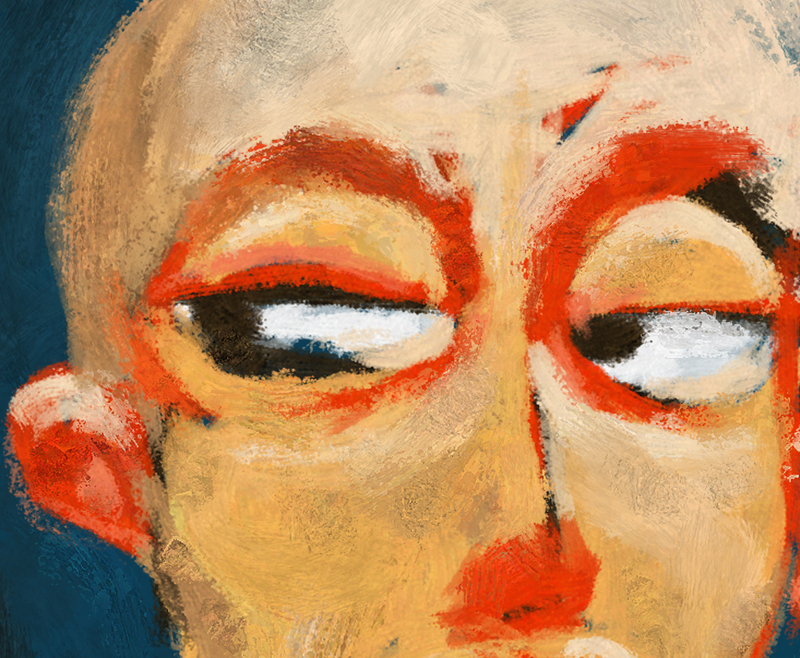 And then there were ten! 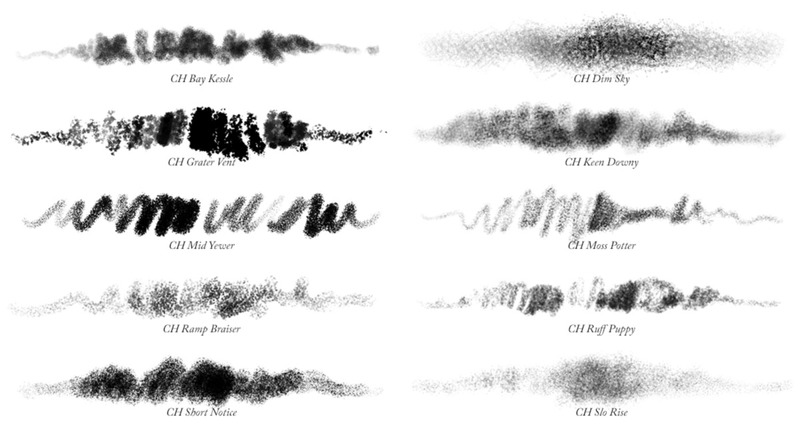 to celebrate the 10th charcoal brush toolset in the shop (16th really, if you include the other natural media charcoal-ish brushes) I’m offering them all as part of the collection Charcoals 01 for $4 (on sale for $2 through this weekend) All of these are free to anyone who purchased the All Brushes Sets in the last 30 days. 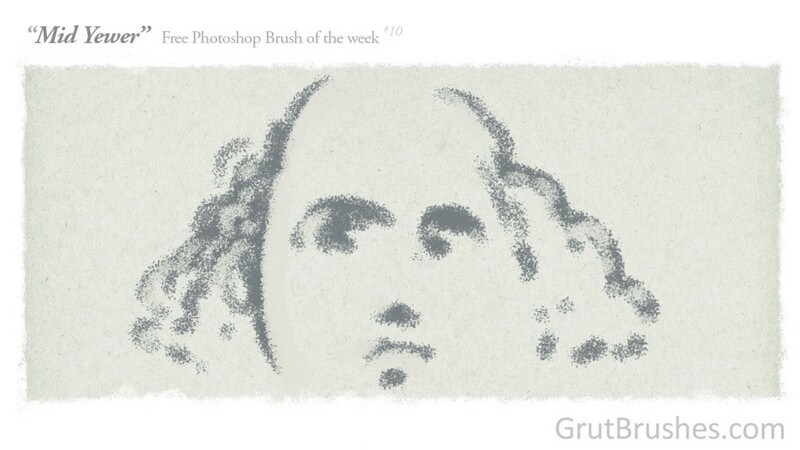 This Week I added two new cross hatching brushes to the store. 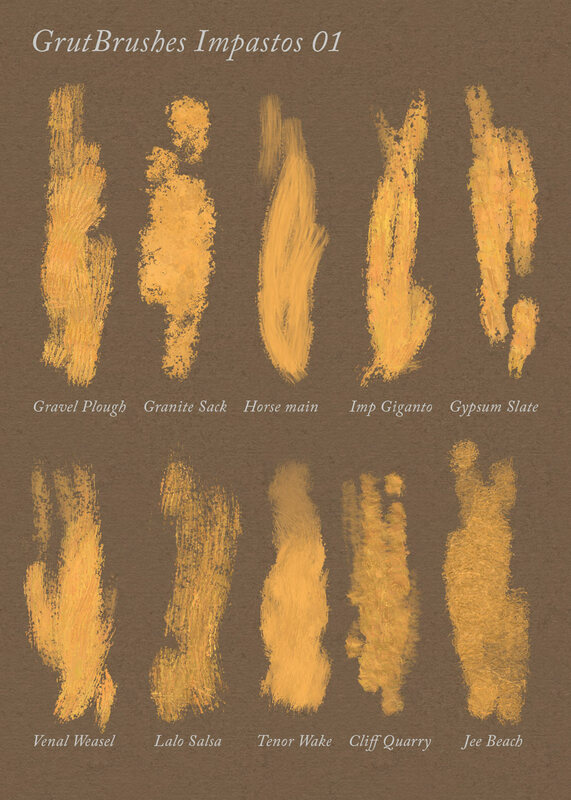 Hatch Acid and Hatch Blanket. 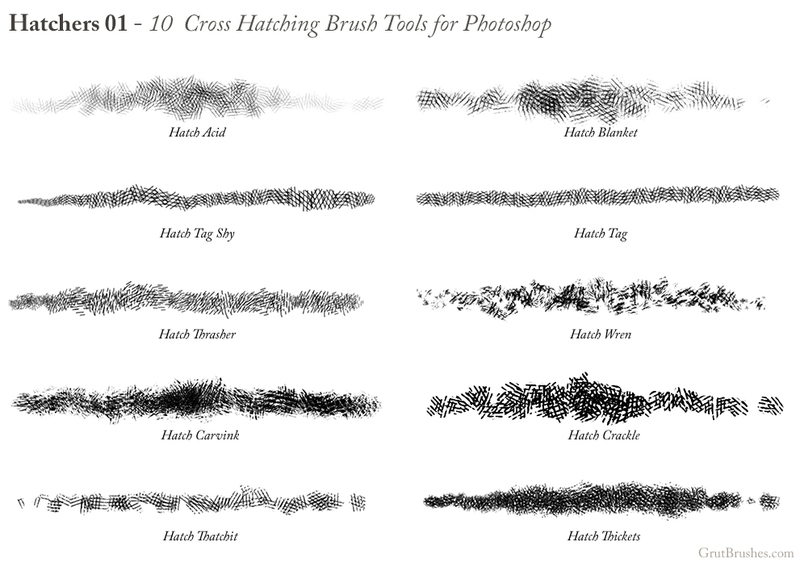 This brings to 10 the total number of cross hatching brushes in the Hatchers 01 brush set. 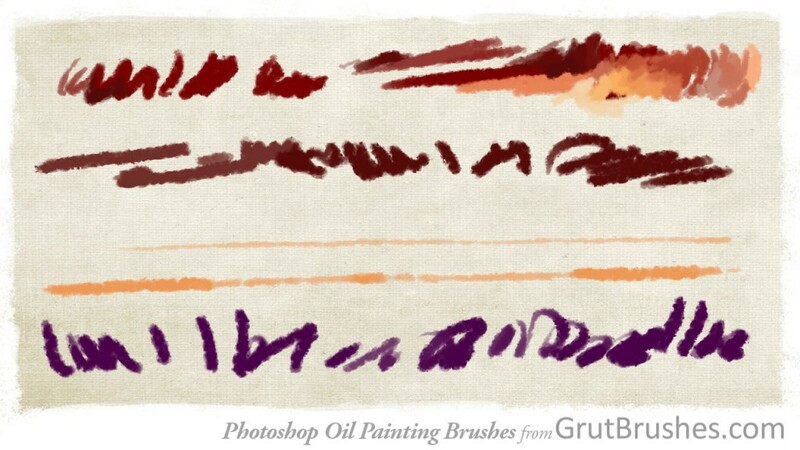 This was my first brush set on GrutBrushes and has always been the least expensive. 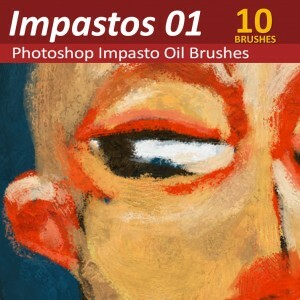 Now that it has 10 brushes in it like the all the others I’ve decided not to raise but to lower it and offer it for $3. 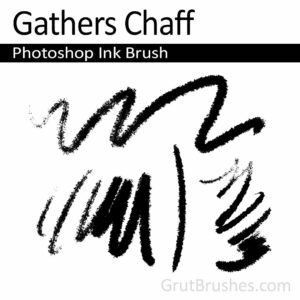 You can download one for free if you use the coupon code freehatch when you checkout. 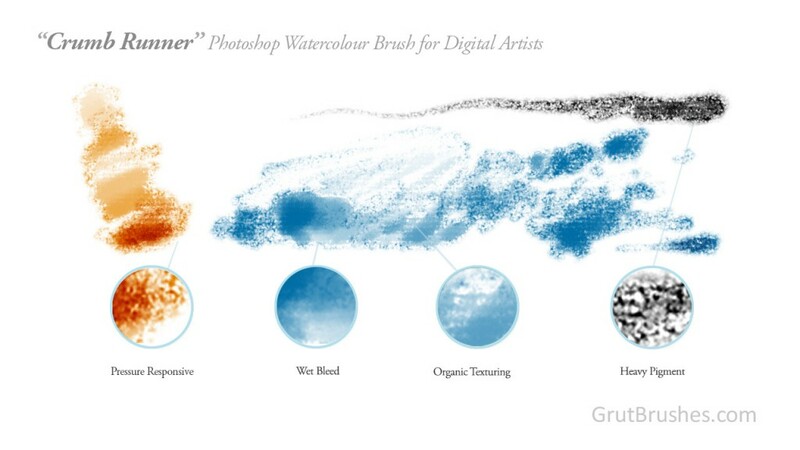 As always, for an additional $7 you can get all 90 Photoshop GrutBrushes! 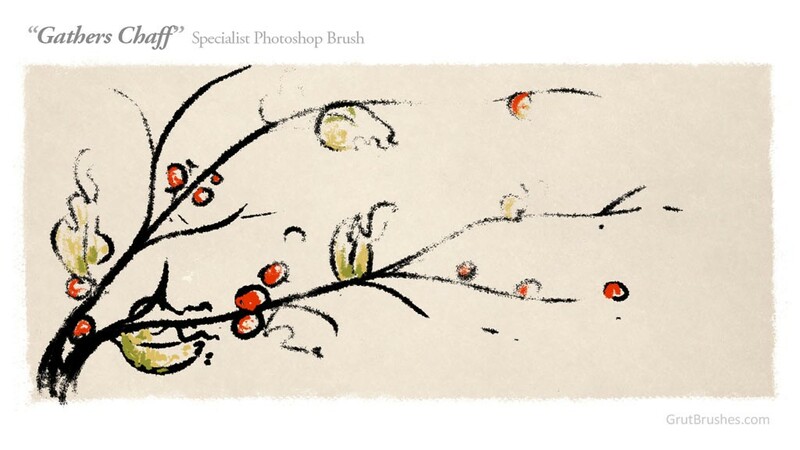 This price will be going up soon. 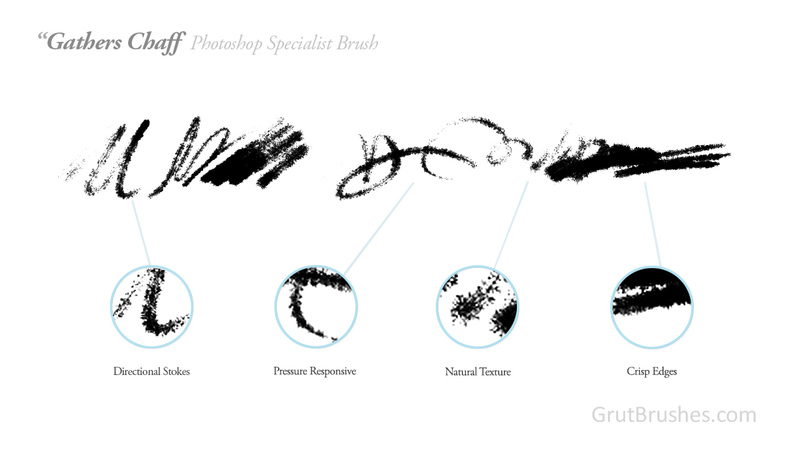 The total amount of brushes in the collection will soon be hitting 100 and I will be changing the pricing on the site, but with that I will offer some new options including a very affordable ‘all you can eat’ membership option which will soon include a Photoshop CC plugin to help you better use and organise your GrutBrushes. As always, you can download it from the brush shop or the member’s free Photoshop brush page for free until the end of this week (May 24) when there will be a new free brush. 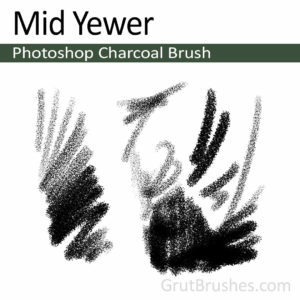 Drawn with the “Mid Yewer” Photoshop Charcoal Brush.